On September 4, 2016, Blessed Mother Teresa became Saint Teresa of Calcutta, and the Church celebrated her profound legacy and declared with joy her sainthood before the world. Her feast day is celebrated each year on September 5. 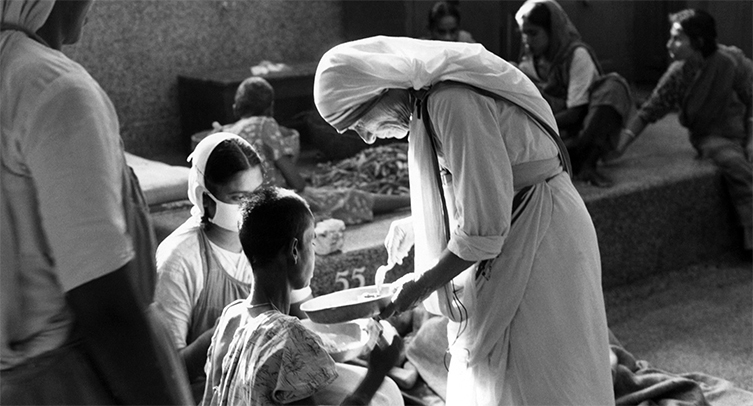 Catholic Relief Services assisted Mother Teresa before her work was well known and have been a friend of the Missionaries of Charity, religious sisters devoted to "wholehearted and free service to the poorest of the poor," for nearly 50 years. Hearing the voice of God while traveling from Calcutta to Darjeerling, Mother Teresa was moved to reach out to Calcutta's poorest citizens. Her ministry blossomed into the formation of the Missionaries of Charity who operate today in countries around the world. Mother Teresa's tireless efforts on behalf of God’s most vulnerable children made her the 1979 Nobel Peace Prize laureate and an example for millions worldwide devoted to the struggle for human life and dignity.